Bridal Accents Couture and International Designer Jose Dias – HOT! So here we are on the way to Bridal Accents Couture in Savage, Minnesota to meet Jose Dias, an international designer for Justin Alexander Couture. Savage, Minnesota is about 10 minutes West of 35W South on Highway 42 near Burnsville, Minnesota. It’s about 3pm and we are figuring it’s time for Bloody Mary somewhere in the world but okay not in Minnesota. We stopped at Champps for lunch if you call 3:30ish PM lunch. So we hear Jose Dias is a really nice guy and his gowns are unique, stylish and Yummy Red Carpet inspired. Yes Jose is from LA, you know, just down the road from that place called Hollywood. Yes where the hills are alive with the sound of Sassy talk and Sassy Smart Fashion looks! So okay focus Bruce it’s 8:00pm now, the Presidential debates are on. We met Jose and he talked to us about designing and what he is seeing hot off the runways. It’s funny to listen to him talk about different parts of the world and what sizes are the average and what people like and don’t like. So here we go. California, showy and size 2-4 and all about 5′5″ tall so don’t believe all the stars at 6feet. In Europe like Germany women average size 24 and in the United States they average 14-16…which is what Princess Diana was like when she first entered onto the world stage. You didn’t know that did you! See hang with us, and you will increase your trivia. Not sure how important it is but maybe in some parts of the world it is. Anyhow, we talked about how gowns are becoming less embellished and more – let me hear it loud and clear – “Simple But Elegant” in other words plain and simple. Ta Dah! Jose Dias is a wonderful designer who has the flair for the original the glamour of red carpet and the understated elegance that is truly today’s Bride. You can tell Jose truly understands the line and look of truly great style and design. His price points for what you are looking at are amazing if not jaw dropping because it’s truly affordable in this day and time of watching your money. The fabrics are true and his re-embroidered laces with metallic are stunning. 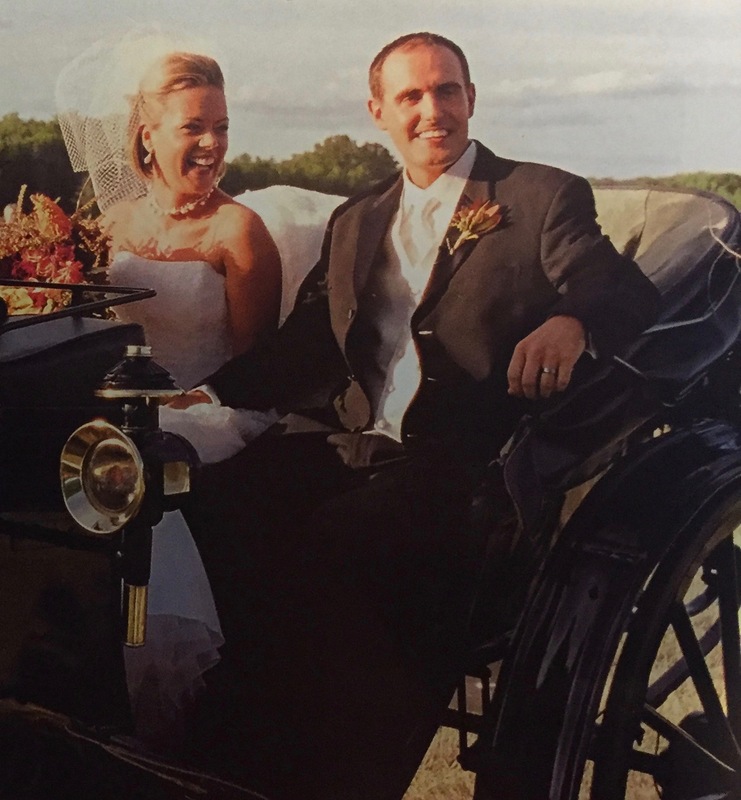 If you are looking to meet him in person you need to run your fingers quick to call Bridal Accents Couture at 952-846-4496 to set up an appointment with him as it will be the best thing you ever did for your wedding. He spends real quality time with his brides, always listening to their suggestions, questions and of course praise for his work. And it’s well deserved praise. I hope to be in Chicago next weekend for Bridal Market so I will be there to see Jose Dias designs on the runway! Jose you Rock! Oh, Oh, Oh and when we arrived he was designing a gown with adaptations the bride had requested. A true designer. When you see him design it’s what you get. PURE TALENT! 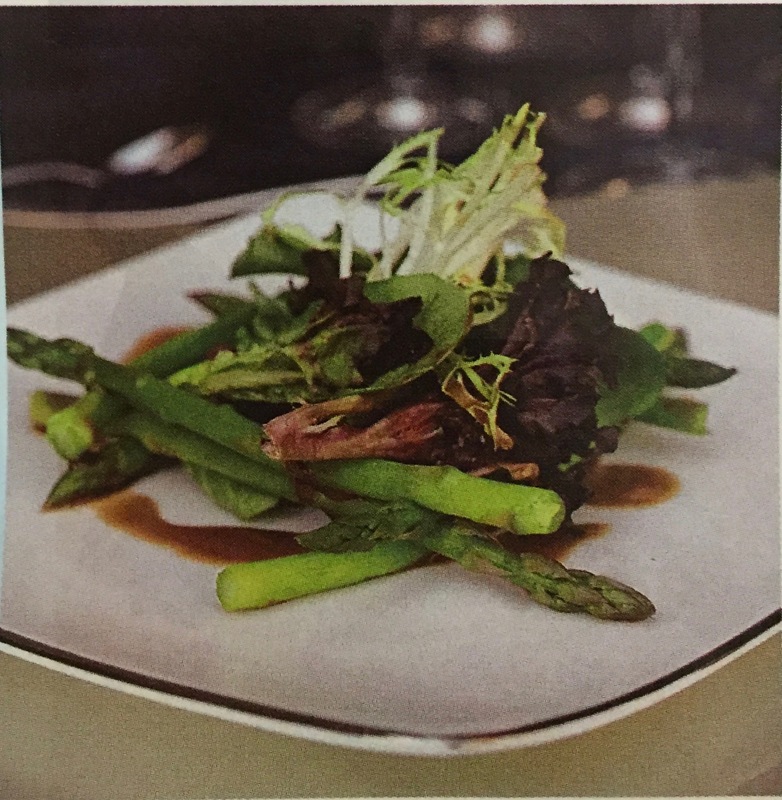 W Minneapolis – The Foshay WOW’s The Twin Cities in STYLE! Hurray Ralph Burnet! Oh Yeah! Let me tell you one thing after attending the W Minneapolis – The Foshay VIP Grand Opening last evening with Matthew, the ‘W’ stands for WOW! Ralph Burnet and his wife Peggy and daughter Stephanie and son Ryan were the perfect hosts! They not only raised the bar for ‘over the top’ they brought a party that hasn’t been seen in Minneapolis for years, if ever! Ralph and I have known each other for a few years when he and I worked on an event that brought Michael Jordan into Minneapolis. (If you want to know – Michael does talk very quiet.) Matthew and I were very honored and proud to be able to celebrate this wonderful event with Ralph and his staff. From the moment we received our special leather boxed invitation in the mail with the silver pocket watch inscribed “Who’s Ready To Speakeasy?” we knew this was not going to be just any old run of the mill event. And boy have we seen our share, even when they have been promised to be over the top. Been there seen that, got to go! From the moment we arrive and a gentleman asked if my name was Vassarella and I said no, it’s Vassar but if you want to add “ella” like Cinderella I won’t take offense. We all laughed and Dylan and Nikolai ushered us over to walk the red carpet in W style – purple! It was pure Purple Reign BABY! The camera bulbs were flashing, TV media it was all there. Ralph was gracious and had a picture taken with us and who was behind us, no other than Las Vegas actress Molly Sims! 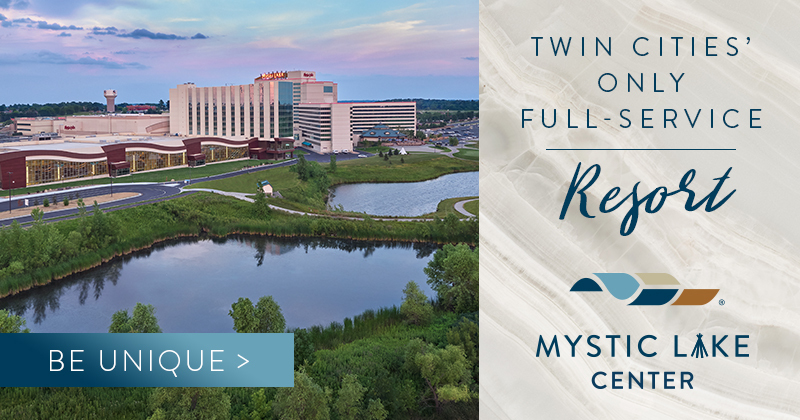 There were your Vikings of course and high profile executives from notable TV and radio shows as well as monthly publications (Andrew Rice, Editor -in-Chief of Twin Cities Luxury & Fashion and Lori Storm, Managing Editor – really great people, ride the tide!) it was a part of Hollywood in Minneapolis on a Thursday night. I know a Thursday night! Well we all know that Thursday night is when the real party people go out, saving the Friday and Saturday nights for the amateurs. Robyne Robinson from KMSP FOX 9 once told me. Okay, back to the party. Next step was into the property itself. So here we goooooooooooo! The entrance is the most stunning dark shades of black, grey, silver and gold with a Fabulous chandelier wrapped around a pillar that Matthew noticed..he has the eye for that kind of detail. As we moved to the living room areas, they transformed these into the dance club. This is where it gets really good. The DJ – oh yea! A female DJ who not only was playing Hot music, but she was HOT! Her name was DJ Sky Nellor from West Hollywood. She played Michael Jackson like only somebody could from West Hollywood. Go to myspace.com/skynellor to learn more about this fab person. Next door to the sassy dance floor – all in black I may add – striking, was the live vending machine. Yes an actual vending machine that had live gorgeous models from the era when the Foshay was actually built. Oh which reminds me that they also had dancers on the bar from that era along with dancers with canes who would walk around and pour vodka out of the cane just like during prohibition times. Anyhow one of the girls in the vending machine was a model from our show – yes Jena! Who found her but another model from the show – Keno! So it was up to the 27th Floor – Prohibition was the ultimate destination! Here we are in the elevator and all of a sudden someone says – “It’s The Wedding Guys!” Matthew and I are like ‘Oh Man’. We are just not so used to being recognized like that when we are out at events okay or Target, ask my daughter Stephanie. We all laughed when I said, “Shh Where are they.” The 27th floor was actually the floor that the original owner – Wilbur Foshay, had his personal office suite. Can we say NICE with a sizzle sound because I am telling you – it was HOT! When you looked out the windows you could see the ‘W’ logo being shinning onto the IDS tower. I know – awesome – it was like being in another time and place. Almost Batman like! I KNOW! I’m telling you it was rock star awesome! Well let me just say I know where I am having my Birthday Party in 4 more years. Yes it’s a milestone! That’s all I am saying. Speaketh no more and moving on……………. We have arrived back down to 1st floor. As we walk by beautifully dressed Peekaboo Room dancers from the bygone era of Prohibition and Candy Girls with old time candy favorites like Candy Cigarettes, Sugar Daddy and Slow Poke Suckers just to name a couple. Oh and the best was seeing the old-time movie projectors with old-time 1920’s Follies. We are now back on the main floor and the focus is food and beverage. Now before I get started I want to say something. This is something I saw and I just want to comment so hopefully people learn new things. Well, we all like to learn new things right? Right! 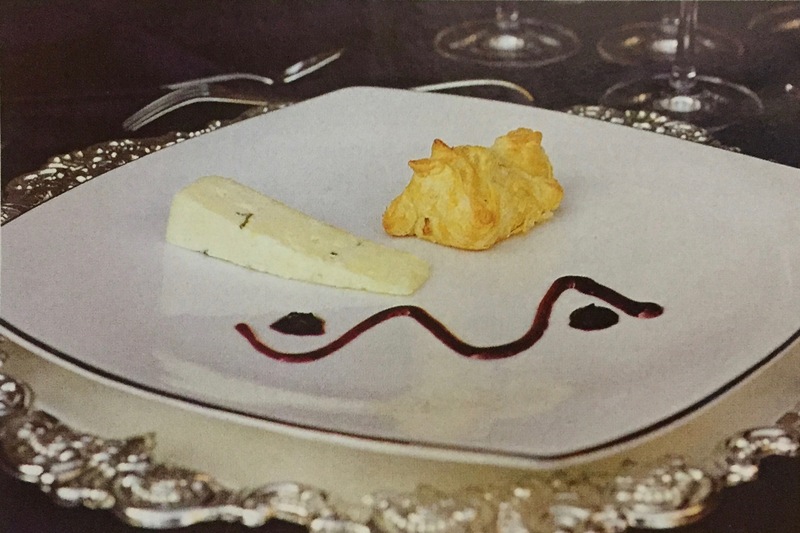 Okay butler passed hors d’ oeuvres are just that. Butler passed. It’s not meant to be a stop gap feeding through where you make dinner off of one tray! If you don’t think enough food will be served (which there was more than plenty) eat at home before you go to the event. Now we can move on. Next! Manny’s Steak House at the W Minneapolis Hotel – The Foshay (I always like using formal names) provided the food and beverage and like everything else we were overly impressed. I have included a couple of my favorites from the evening and I hope you will all get a chance to experience the culinary expertise and art that we did. Sue Zelickson was front and center and in the middle of it all. Spoke with her briefly admiring all the fun food and people. Love ya Sue! Mini Crab Cakes with Poblano Aioli, Gazpacho Shooter with shrimp, Wild Mushrooms with Fontina Cheese, Chicken Satay with Thai Peanut Sauce, Truffle Deviled Eggs with Caviar, Bacon Brats in Puffed Pastry with Black Mustard, Lamb Lollipops with Curried Yogurt Sauce, House made crackers with Chevre, Caramelized Onion and Micro Greens, Rare Seared Beef Tenderloin Crostini, with Smoked Tomato Marmalade, and Roquefort Cheese. Giant Shrimp Cocktail, Carved Bone-In Rib Eye bites and Braised Beef Short Rib and Scallop Sliders. Mini Cupcakes, Caramel Brownie Bites, Lollipop Cookies, Chocolate Dipped Strawberries, and Assorted Home Made Truffles. Epiphany and Behind the Green Door. Sorry can’t give you the recipe! Photos To Be Added Very, Very Soon! We Promise! So I know you may be wondering where all this is going. What I am expressing is that in any event even like your wedding, there are key elements that really standout. Much like the Grand Opening your wedding is a Grand Opening of your life together with your new partner. If you are just starting to plan your wedding. You want to check out the W Minneapolis Hotel – The Foshay. Believe me you will thank yourself for taking the advice and the time! 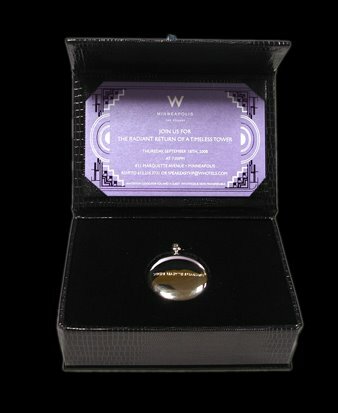 Have a Wonderful Wedding at the WOW – ‘W’ Minneapolis Hotel – The Foshay! Congratulations Ralph Burnet! Thank you for bringing this Grand Building back to life in the style and sophistication only you can do! Bruce Vassar and Matthew Trettel – The Wedding Guys! Each fall, the International Special Events Society’s (ISES) Minneapolis-St. Paul Chapter solicits entries for its Minnesota Star Awards in 16 categories. With the exception of the ISES Team Effort category, ISES membership is not a requirement for entry; submissions are accepted from anyone who plans, produces, or supplies to the Minnesota special events industry. For 2008, all entries conforming to the ISES rules were submitted to the law firm of Hoversten Johnson Beckmann & Hovey, HY, LLP, in Austin, which ensured that basic entry requirements were met. The firm sent qualifying entries to the ISES Atlanta Chapter for judging. The three entries that received the highest total point score in a category were nominated, and the nominee that received the top score was declared the winner. 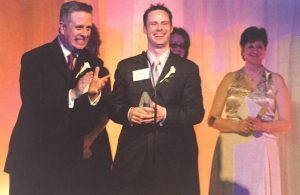 Twin Cities Business highlights ISES’s winning events in the following pages. Read on to see which local companies and events were judged the best! 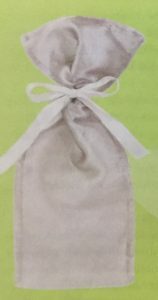 A local bridal association partners with wedding service providers to create an annual wedding package giveaway. 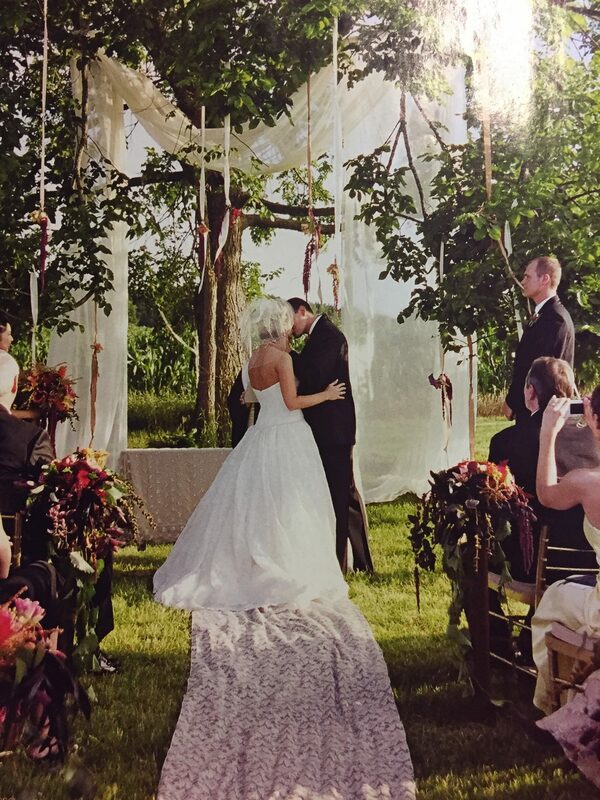 In 2007, it was a $150,000 wedding experience set in a vine-yard. 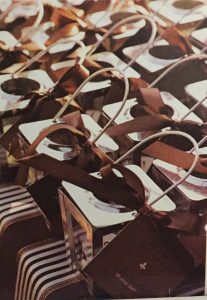 The look of the event and the effectiveness of its promotion was enhanced by well-designed stationery components—invitations, favors, welcome baskets, and media kits. The vineyard venue and its French chateau–style winery inspired the use of a fleur de lis graphic element on the stationery. The color palette reflected the midnight blue and copper decor, and the typography chosen was reminiscent of a vintage wine label. 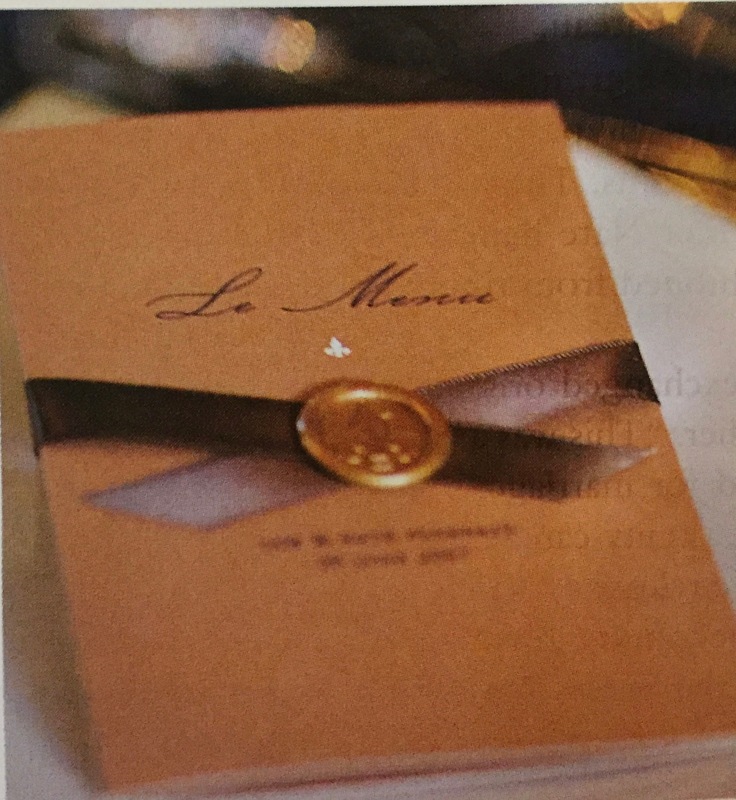 The invitations set the tone for the event by incorporating the blue and copper colors on ivory cardstock. Invitations were packaged and mailed in wine cork–lined wooden boxes with slide-out lids. The boxes were sealed with cigar-box labels—hand lettered with guests’ names—and a wax seal. 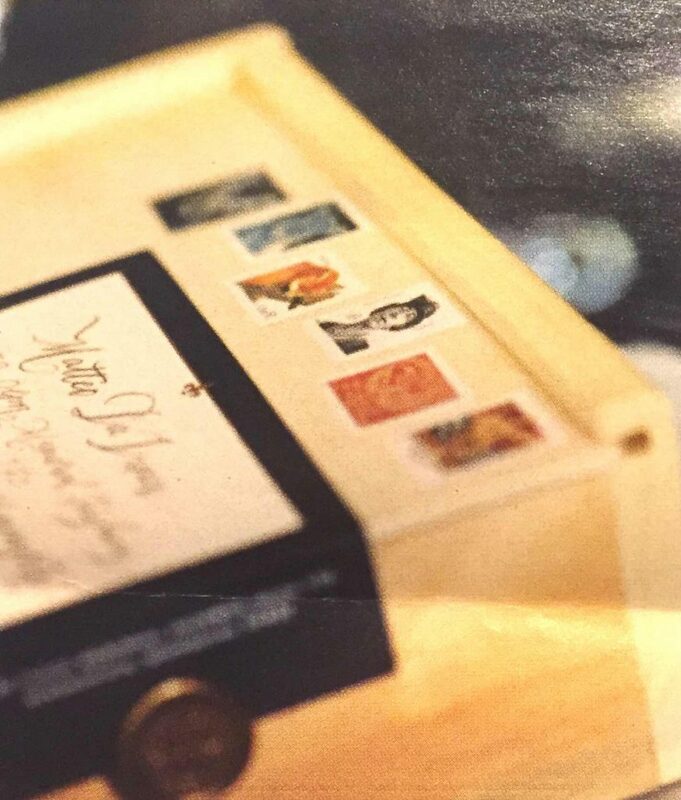 Similarly, the press kits were pack-aged in wooden crates lined with wine corks and padded with craft paper straw. 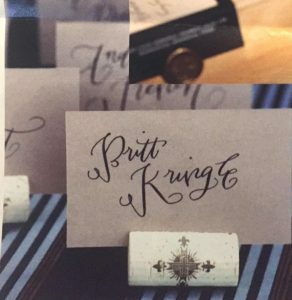 Along with a press release, each kit contained an invitation, a ceremony program, reception menu, chocolate favors, and a bottle of wine. The planners wanted to offer a shop-ping experience that differed from a traditional trade show—a boutique experience for 2,000 brides and their guests. The trade show floor plan was revamped, avoiding rows and rows of booths by grouping exhibits into quads and eliminating the 3-foot-high side panels. This created the feel of department store shopping. The entrance was staged as a ceremony and reception setting, with birch trees lit in red, orange, and amber to reflect the “autumnal weddings” theme. A chiffon canopy was hung with crystal chandeliers. 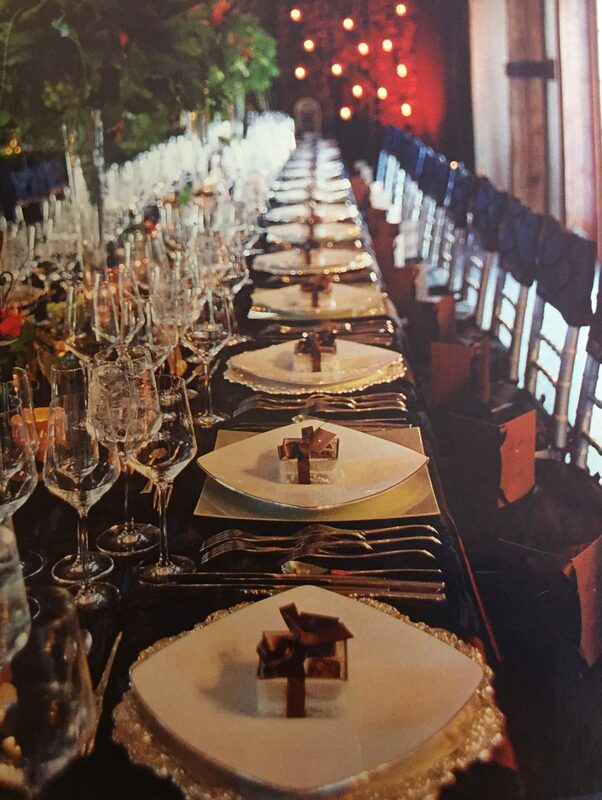 In the next section, a “chocolate ultra lounge” themed reception area featured a 25-foot-tall gold birch tree set in a 60-foot round table holding a chocolate fountain. A “reception rotunda” with orchestra and dancers featured gold chairs, large flora’s in six-foot-tall urns, and set tables to showcase an entire decor concept. A “weddings couture” boutique setting, with a fashion runway, displayed upscale wedding gowns, headpieces, invitations, cakes, bouquets, and linens. An area for grooms was designed to look like a nightclub and had a full-service bar. The event’s main fashion show had a 1930s movie-palace look and was meant to offer the feel of a professional fashion event. Wedding style, like all style, generally gets set elsewhere than the Twin Cities. 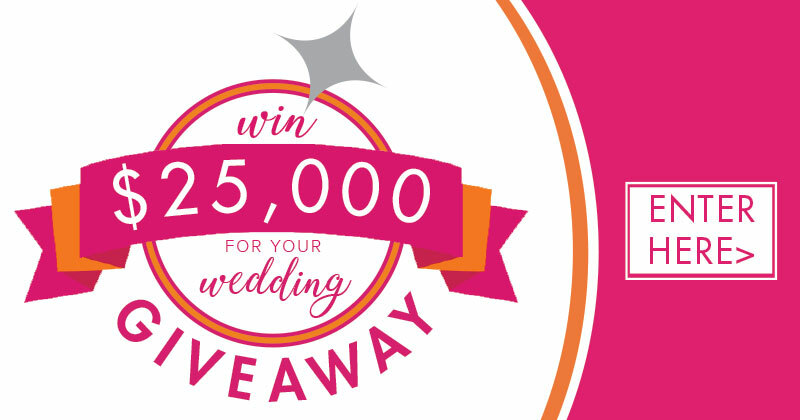 But our secret weapon is The Wedding Guys, whose expertise in all things weddingy has earned them national renown. We caught up with The Wedding Guys (known to ordinary mortals as Bruce Vassar and Matthew Trettel), and got the skinny on what’s in and what’s so last year in weddings. Invitations aren’t just fancy letters with flowery fonts anymore. They’re more like a marketing event, part of a package that sells the event as something that nobody should miss. 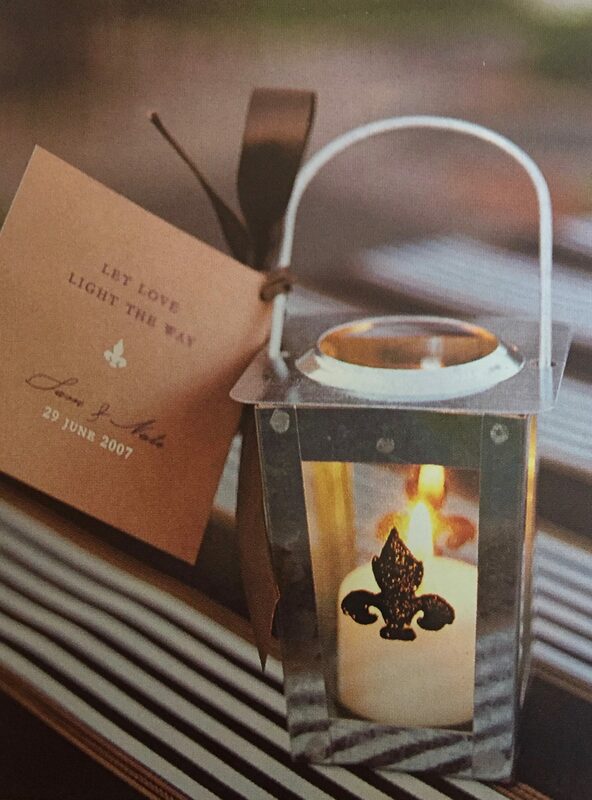 That’s why the discriminating couple has begun to use new materials, like raised copper or acrylic, instead of the usual paper invitations. They’ve also been using interesting packaging for those invitations. 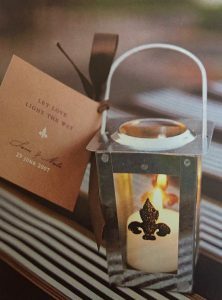 “We just did a wedding at the Chateau St. Croix where the invitation arrived in a wood box that was lined with wine corks,” says Vassar. The days of the satin A-line are over, at least for now. Vassar says that he’s seeing different fabrics like organza and tulle, fabrics that lend themselves to a more ethereal look. “There’s more fabric and more layers, and people are going for romantic rather than shiny,” he says. Interest in outdoor weddings has been growing, and for this climate, that means tents and reliable weather. That rules out June, when a hailstorm might ruin everything. “The weather is more reliable in September or October, and it’s also drier,” says Trettel. To see what will be hot in weddings in a couple of years, all you have to do is pay attention to what’s going on with the celebrities. The color cues come from the red carpets, like the Oscars or the Golden Globes. Trettel says that blue is having its turn this year. Also, brown is the new black, especially brown with an accent color. The days of identical bridesmaids aren’t over, but the method of sameness has changed. Vassar says he’s seeing more weddings where brides allow bridesmaids to choose their own dresses — or at least necklines — as long as they all have the same color. “It depends on how lenient the bride wants to be,” he says. “You could end up with three shades of red, and even if you select the same color, dye lots can be very different.” Still, he says, the regard for different body types has become more popular in the last couple of years. Weddings have been getting smaller, except in the smaller towns, because of the tendency for people to have less contact with their extended families. But that doesn’t mean people are spending less; on the contrary, since the responsibility for funding is coming from the bride’s family, the groom’s family, and even the bride and groom, weddings are getting more extravagant in many ways. “People are getting married later than they used to, in their late 20s or 30s, and so they’re more established financially and probably making more than their parents did,” says Vassar. The booth may have an old-school feel, but Gassman says his business is very high tech. 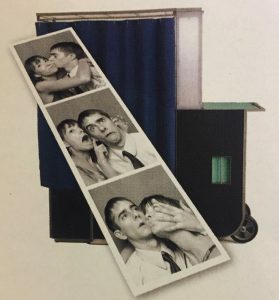 The Traveling Photo Booth produces blur-free, sharp, high-resolution photos in black and white or color. There’s even a digital preview screen to practice poses. So why are the booths booking up so fast? “It comes down to the curtain. People can be uninhibited behind it,” Gassman explains. “These pictures capture people’s personality… what’s inside of them.” They are also extremely interactive and the photo strips are a definite conversation piece. Guests can even go online after the party to order pictures. “We are still getting calls about how much fun our guests had throughout the evening. The Traveling Photo Booth added a whole new entertaining dimension to our reception,” attests bride Missy Stein. One option that has always been an option and is catching on in the media — if not in the market — is green weddings. But Vassar points out that weddings have always been green in many ways. “The linens, the outfits, the decor, all of these things are rented so they’re re-used over and over,” he says. Cakes can be organic, and flowers can be locally grown, but for the most part, weddings have always been green — with the exception of wedding gowns, which are frequently made of polyester. But green can mean a little more expensive, and price sometimes dictates the cheaper, less organic option. 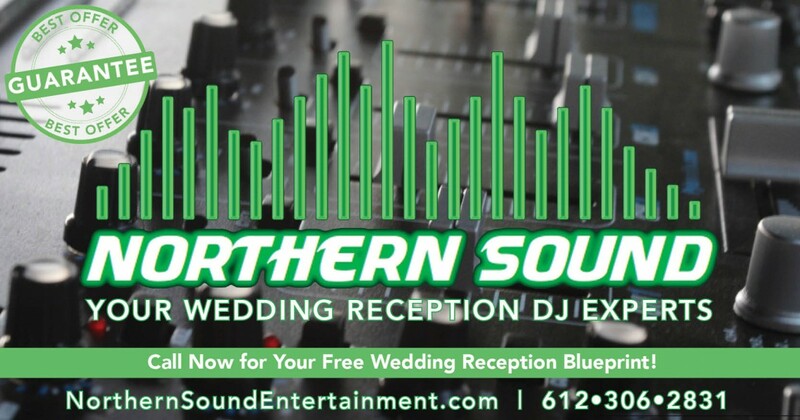 There’s no need to limit yourself to the usual DJ and dinner at the Ramada Inn; receptions are getting more fun all the time. Couples are using museums (like the Walker or the Weisman Art Museum) or restaurants for their receptions instead of the usual hotel ballroom, and they’re including entertainment and experience in the event. “You can bring in an espresso bar or an oxygen bar. where people can smell different odors like magnolia or lilac,” says Trettel. “Or you can serve cookies and milk at the end of the reception.” And why not do something educational? 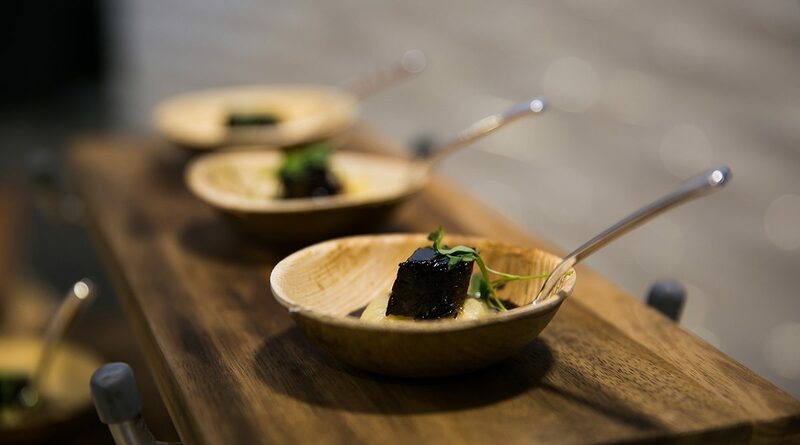 Some couples are holding formal dinners at the reception, with several courses and wine pairings and a chef who explains each course and the wine that goes with each. *The main thing to understand, though, is that today’s trendy is tomorrow’s boring tradition. You don’t have to do what everyone else is doing. whether that’s time-honored tradition or the newest new thing. 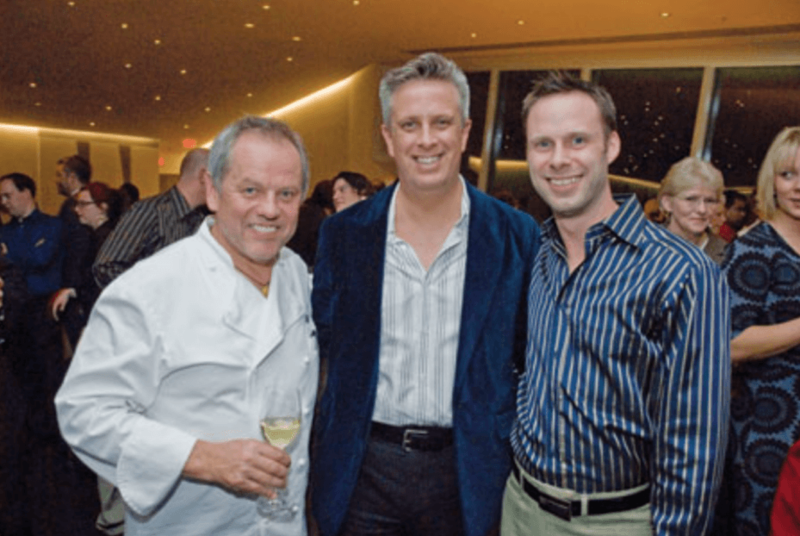 Wolfgang Puck with the Wedding Guys, Bruce Vassar and Matthew Trettel. Samantha Kemming and Nate Flaherty met by chance while attending a festival in their hometown Minneapolis. But it was Samantha who made sure their first meeting was no their last. “I actually asked Nate to take my number because I didn’t think he was going to ask for it,” she admits. Her insistence worked, and the couple fell in love. With Christmas being Samantha’s favorite time of Year ( “I love snow!”), Nate planned his proposal for a wintry December evening. He asked a local restaurant to open its rooftop dining area just for him and cleared a path in the snow to set a table for two. There, overlooking the festival area where he and Samantha had first net and with the holiday lights displayed across town, he asked Samantha to be his wife. It seemed that the couple’s wedding planning was as fated as their introduction. Samantha and Nate envisioned having a small summer celebration at a winery, but due to a lack of available venues, the couple settled on a large, winter event instead. They soon learned., however, that their dream event was still within reach. 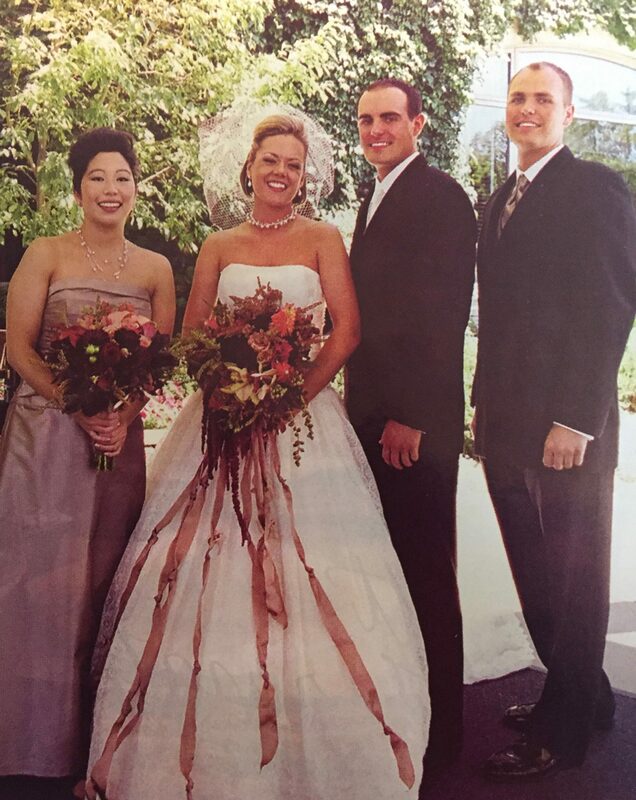 Samantha and Nate were the winners of the 2007 Trend Wedding contest, which entitled them to an all-expense paid celebration organized and designed by Bruce Vassar and Matthew Trettel, the coordinating duo known as The Wedding Guys. From fashion to favors, food to flowers, each and every element of the wedding would be catered with Samantha and Nate in mind, but the most felicitous part about the prize was that the Trend Wedding theme was dubbed the “Vineyard Wedding Experience,” and was designed to embrace the trend of “smaller, more intimate experiential weddings.” With their ideal wedding day laid out in front of them, Samantha and Nate happily trimmed their 250-person guest list down to seventy-six and put their hopes and dreams in the hands of the local wedding industry’s most innovative thinkers. 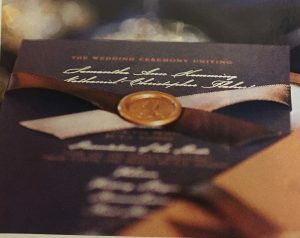 Copper and dark blue invitations delivered in cork-lined wooden boxes announced the location for the wedding — the Chateau St. Croix Winery and Vineyard, a sprawling location that boasted a quaint courtyard for cocktails, a grand hail for dinner, an art gallery that was transformed for dancing, and an outdoor ceremony area graced by an enormous elm tree. The entire property was dressed for the wedding in rich and dramatic colors ranging from chocolate brown and copper to aubergine and royal blue. Plum calla lilies, burgundy roses, hanging fuchsia amaranthus, purple mums, and amber orchids were just some of the flowers that were used alongside grapes, feathers, maple leaves, and vines to play up the rustic elegance of the setting. As guests arrived at the chateau, they were greeted by a polo match being conducted on the grounds. Samantha and her maid of honor rode out to the ceremony pasture in a horse-drawn carriage strung with a garland of blooms. The bride walked down the aisle on her father’s arm and met Nate beneath the majestic tree with traditional love knots fashioned from ribbons and flowers dangling from its limbs. 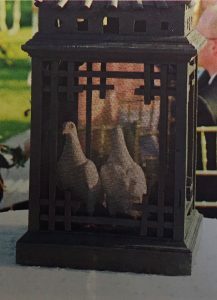 Having enjoyed cocktails and appetizers with their loved ones, the newlyweds dashed away to change into their reception attire. Nate donned a white dinner jacket while Samantha appeared in her second Michelle and Henry Roth gown of the evening, one that was a little more conducive to a night of dancing. 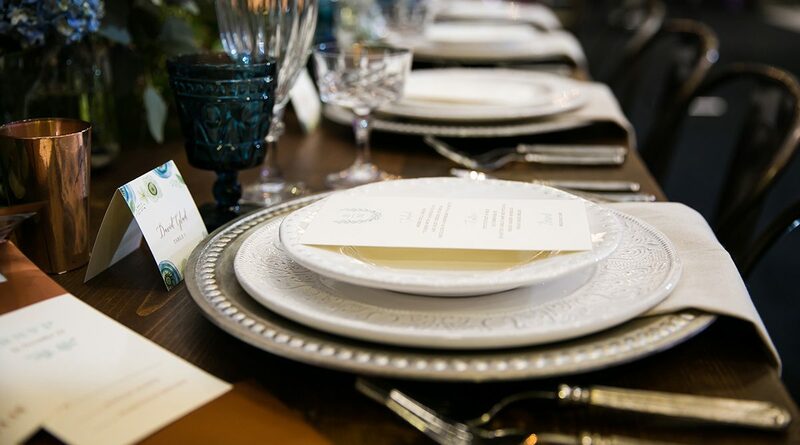 But before she and her husband took to the floor, the entire group gathered at a single horseshoe-shaped table draped in midnight blue and copper linens for the eight-course wine pairing dinner. “We could not have thought of a better way to combine our love of wine and cooking,” asserts Samantha. 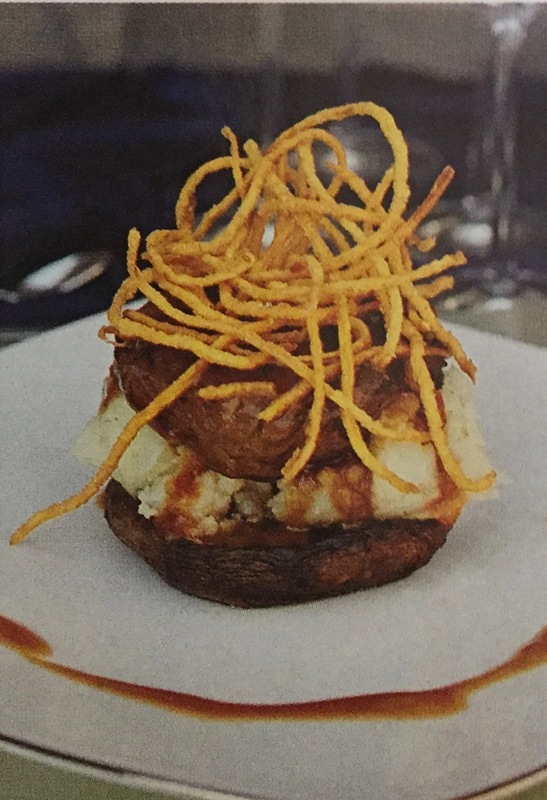 The caterers even took their favorites into account, addressing Nate’s love for steak with a filet mignon course and Samantha’s taste for seafood and cheese with a salmon Napoleon and a separate duet of brie and Maytag blue cheese. The decadent courses were served simultaneously to each guest, an impeccable presentation technique described by Vassar as “waiter ballet”. The diners took a break and adjourned outdoors for an impressive fireworks display before returning for the dessert finale, a wine inspired “cake flight” that was according to Samantha, the highlight of the meal. A tasting of the three-wedding cakes-in-one were plated along with sugar grape leaves personalized with “Samantha and Nate” in piped chocolate. 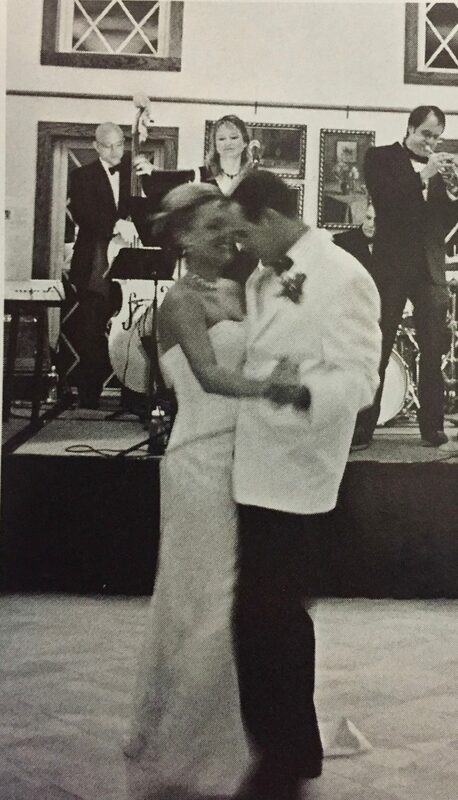 A Performance by professional ballroom dancers kicked off the dancing and set the stage for the newlyweds’ first spin around the floor. The Big Band sound of the Minnesota jazz Orchestra was followed by a DJ who kept the gallery packed all night long. But the wining and dining was not over for Samantha and Nate. They enjoyed a thematically fitting honeymoon in the wine country of Napa and Sonoma, stopping to explore San Francisco along the way. One of John Dixon’s favorite wedding presents doesn’t appear on most gift registries. In fact, before he got married last fall, Dixon, 34, had only a vague idea that laser levels–tools used for hanging pictures–existed. Luckily, a family friend who has been married for 40 years brought the level to Dixon’s “groom shower,” where 15 men played poker, grilled hot dogs and presented Dixon with gifts they suspected he’d need as a husband. Sure enough, Dixon has used the level four times since the wedding. “Suddenly my wife wants me to hang pictures,” he said, adding that the shower was a unique opportunity for friends and family to give not only presents, but marriage advice. 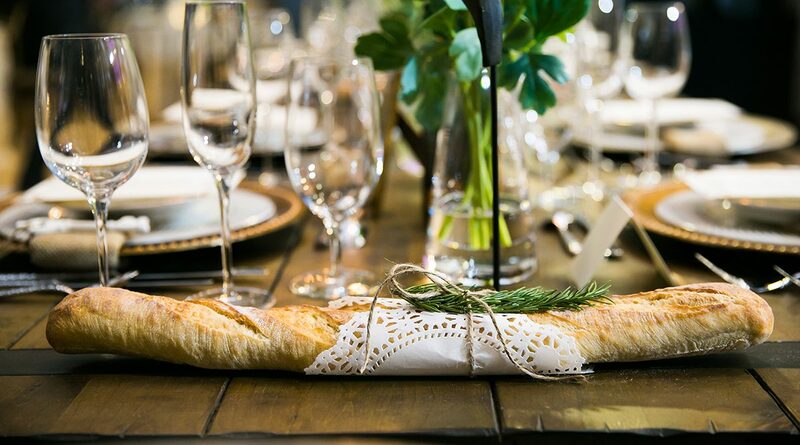 Bridal showers have long been popular for women, but in recent years groom showers, often with sports or home-improvement themes, have become increasingly common. 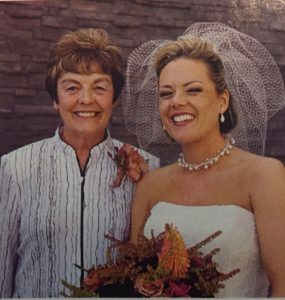 Experts say the trend is part of a broader tendency for grooms to become more involved in wedding planning than in years past, when such details were largely the domain of the bride and her mother. The popularity of groom showers is rooted in the fact that couples these days are more likely to plan and pay for their weddings, said Christa. Vagnozzi, a senior editor at the wedding website The Knot,”Couples are more involved in the process now,” Vagnozzi said. This newfound enthusiasm has extended to pre-wedding festivities, prompting a rash of showers for couples and, increasingly, the grooms. “My wife was having all these showers, and I thought, ‘Why don’t the guys get to do anything?”‘ said Markson, whose parents threw him a shower at their house in Brooklyn Park, Minn.
Groom showers are an outgrowth of the “gentleman’s dinners” popular in the 1940s and ’50s, according to Bruce Vassar, one of The Wedding Guys. Usually hosted by the groom’s father, such dinners functioned as “a dad’s sendoff to his son, to manhood and being married,” Vassar said. Over time, gentleman’s dinners were largely replaced by wild bachelor parties, Vassar said. But in the past few years, more sedate sendoffs have resurfaced. Resembling “a much more tame version of a bachelor party,” groom showers often consist of casual parties, trips to the racetrack or rounds of golf, Vassar said. Bachelor parties are still popular, but groom showers, or “power showers,” function as an additional pre-wedding celebration for the groom’s friends and family, he noted. At Markson’s bachelor party, for example, a few close male friends went jet skiing on Lake Minnetonka and barhopping in downtown Minneapolis; his groom shower a few weeks later drew a very different crowd. At the shower, some 50 guests, including his mother, grandparents, uncles and co-workers, traded stories about Markson while scarfing down his favorite foods: chicken wings and pizza with sausage and green olives. Dixon threw his first groom shower 10 years ago, when he and a group of college buddies decided to hold a pre-wedding “tool party” for their friend Ethan. Guests brought toolboxes, work gloves and ladders to outfit the groom’s new house–a fixer-upper. Word of the successful event spread quickly, and groom showers became a tradition among Dixon’s circle of friends. But over the years, showers began to take on a greater significance for Dixon and his friends, evolving into a forum for advice as well as gifts. At Dixon’s shower, he received an Xbox video game from a friend who told him, “You’re going to need to lock yourself in a room sometimes and get away from it all.” Another friend got him a “doghouse” kit, with items like massage oil for use when his wife, Jenessa, gets mad at him. Dixon believes that all this sharing and bonding–and men’s greater involvement in wedding planning–has grown out of changing roles within the family. “Guys are allowed to be more sensitive than we used to be,” said Dixon, who claims to cook more often than his wife. Of course, this reimagining of gender roles is far from complete. When asked about the dessert at his shower, Dixon said he and his friends usually avoid serving cake. Why? “It’s not very manly,” he said. As The Wedding Guys prepared for their award-winning event, The Wedding Fair, taking place in March, they sat down with our experts to share wedding cake trends. 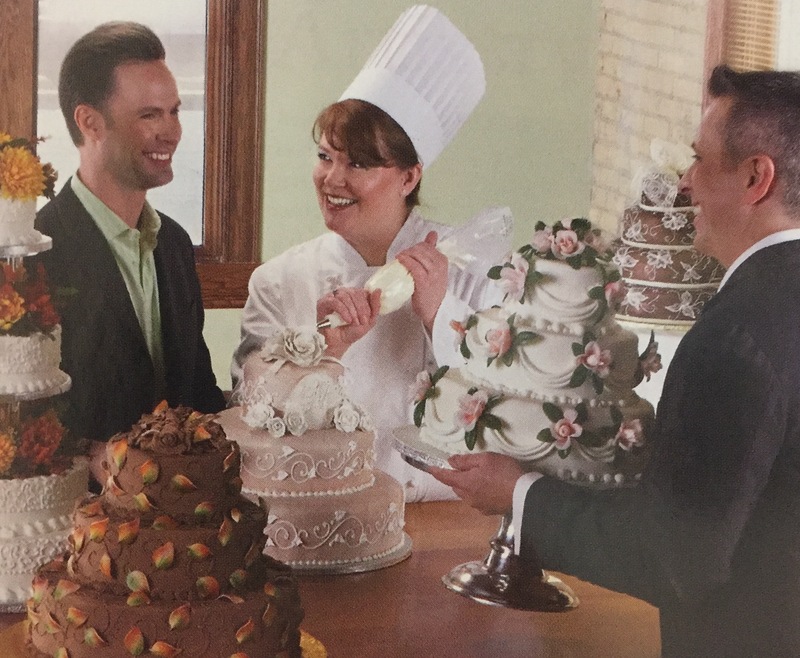 Lunds and Byerly’s Cake Experts (L&B): A traditional wedding cake is still popular, but we’re seeing some new trends. Some couples are deciding to have a small cake created for each table. Others are requesting cupcakes for each guest instead of one large cake. And we’re making groom’s cakes for receptions as a surprise from their brides. What trends are you guys seeing? The Wedding Guys (WG): Fashion trends in the wedding industry always lead cake trends. Now more than ever, the cake often represents the bride’s dress or floral design at the reception. As for fashion, we’re seeing wedding dresses with sashes, brooches, and monograms. 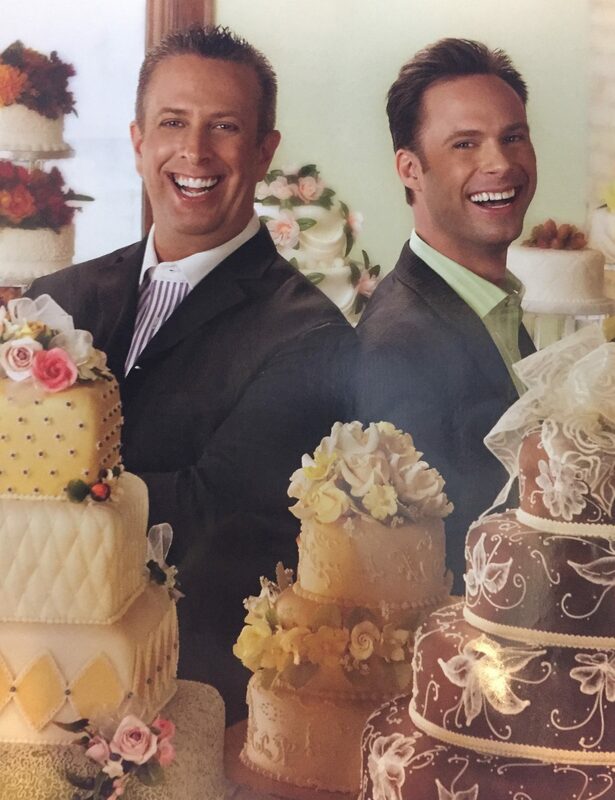 As a result, those same features are appearing on wedding cakes. L&B: We love creative brides who request that! It’s fun and sentimental. WG: And symbolic. Just as the bride is the centerpiece at the wedding ceremony, the cake is the centerpiece at the reception. That’s been true for more than 100 years. L&B: During our one-on-one consultations with soon-to-be newlyweds, couples are requesting bolder colors and real flowers on their cakes. Have you noticed that as well? WG: Bold colors are great. And the vintage concept of using real flowers on wedding cakes is coming back strong. L&B: We’re seeing new cake sizes and shapes. Are you? WG: Yes and yes. In terms of size, many couples are patterning their cakes after European tortes with each tier reaching eight to ten inches tall. That’s at least twice as tall as a traditional tier. Of course, these taller cakes create stunning centerpieces—especially if the couple’s reception is in a large venue. As for shape, square cakes continue to be popular. WG: Sounds familiar. The wedding cake has evolved into a featured dessert—just as if you were (lining in a fine restaurant. And why not While there’s a tendency to pick a very neutral flavor that will be familiar to grandpa, many couples are now choosing unique cake flavors. Some are having each cake tier in a different flavor. With so much variety, the newlyweds are able to please all their guests. 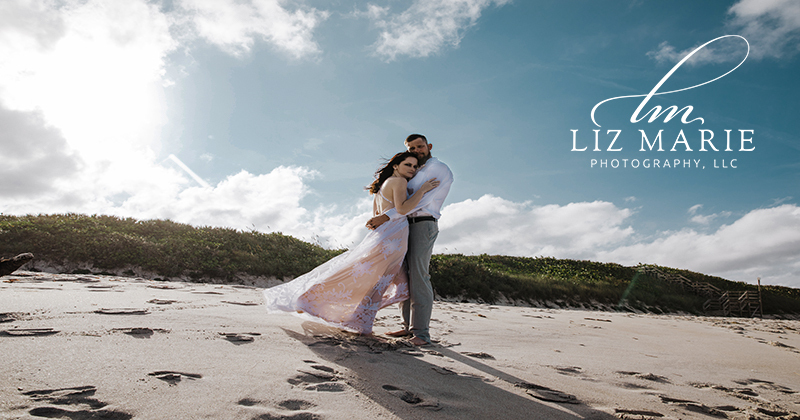 L&B: We’ll see you guys at The Wedding Fair in March. 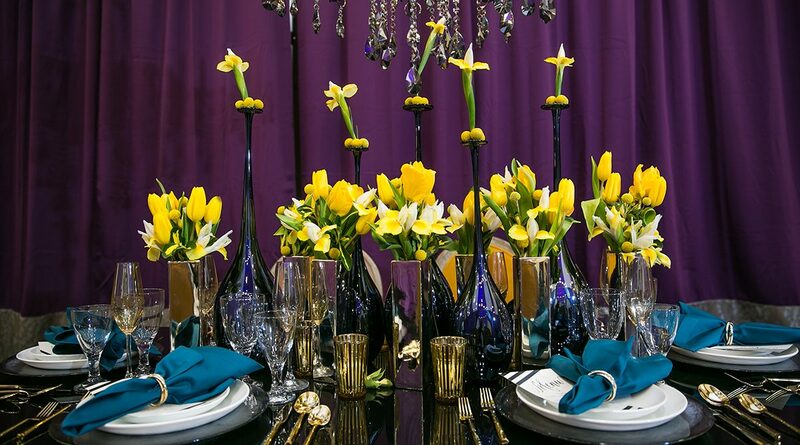 WG: Couples can see the latest trends at The Wedding Fair on March 18 at the Minneapolis Convention Center. And they time can consult directly with you, the cake experts, any time at Lunds and Byerly’s stores. Remember one of the big benefits of attending The Wedding Fair is sampling the cakes! See you at the show. 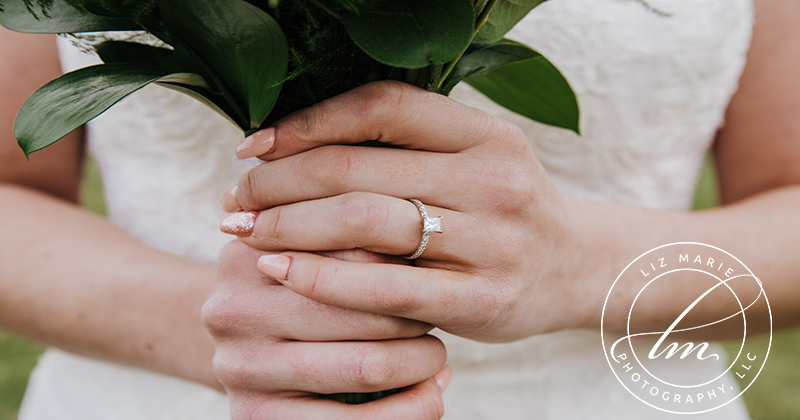 Before ordering a wedding cake, couples are encouraged to participate in a complimentary consultation with Lunds and Byerly’s highly trained cake experts. Based on flavor preferences, our pastry chefs, including Renee Blackowiak (pictured above), will custom make an array of cake samples to try at home. Food expertise. Our teams live for it every day at our supermarkets and offices. But I found myself personally benefiting from our company’s passionate expertise at home on my wedding day late last year. As much as we’d like to take credit for planning every detail, I have to admit my wife and I sought the guidance of a few experts. One place we sought expertise was from our highly trained pastry chefs and cake decorators at Lunds and Byerly’s. Their attention to detail and quality was evident as our guests marveled at their stunning creations. Just check out my snapshot below. 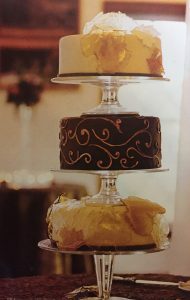 The traditional three-tiered cake featured white cake layered with butter cream. The butter cream frosting was topped with beautiful roses and handcrafted white chocolate leaves. 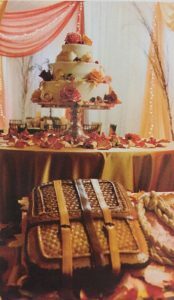 The groom’s cake—a surprise gift from my bride—was an exact replica of a saddle-bag hanging in my tack room. This chocolate cake was layered with chocolate ganache. The basket weave details were applied with an airbrush. My buddies thought the attached lasso was a real rope and not created from marzipan. Though I learned much helping plan my own wedding, I certainly can’t claim to be a cake expert. But Matthew Trettel and Bruce Vassar, the Wedding Guys from Twin City Bridal Association, are experts. 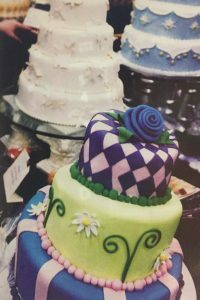 We visited with them about wedding cake trends, and you can discover more on the latest sweet styles on pages 10-12. 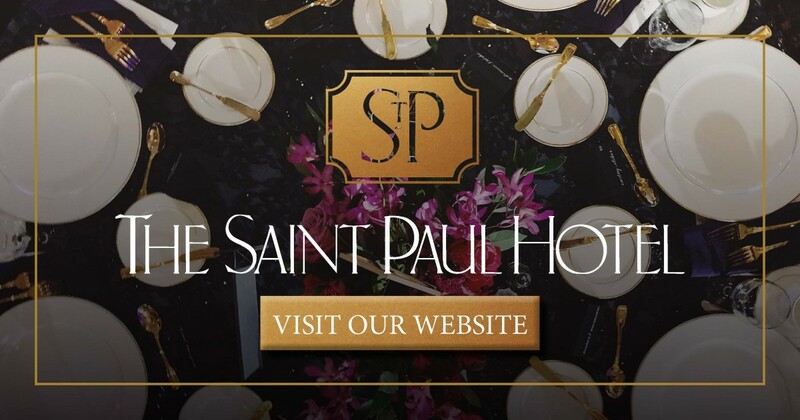 If you’re planning a special occasion, please visit with our experts. We have certified pastry chefs and cake decorators ready to meet with you in most of our stores. Their expertise is truly a wonderful resource. I know. The Wedding Guys, Bruce Vassar (left) and Matthew Trettel, are our area’s leading authorities on wedding celebrations. 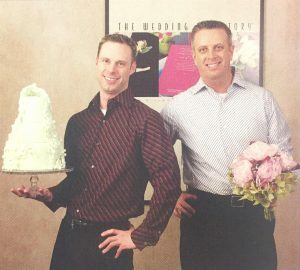 Bold, daring, and impassioned, Matthew Trettel and Bruce Vassar—the creative force behind Twin City Bridal Association—bring a unique sense of fashion and individually to engaged couples. They are driven to elevate the simple virtues of style and taste in today’s wedding celebrations. Three times a year, this dynamic duo produces The Wedding Fair, recognized as the nation’s leading wedding event. “We keep Twin Cities weddings on cutting edge,” says Trettel. “It’s not just about doing what’s trendy,” adds Vassar. “We strive to preempt trendy”. 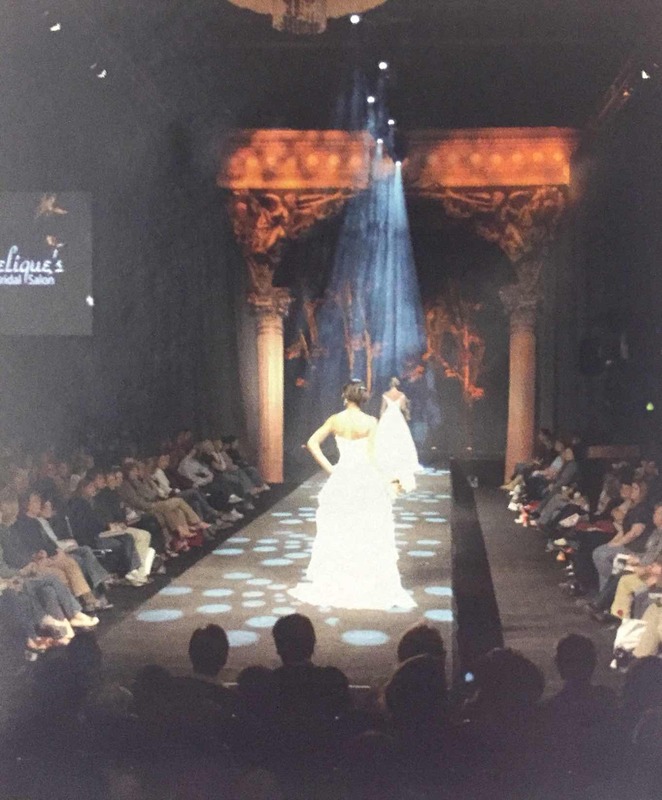 Continually pushing the envelope, they were the first nationally to produce a couture wedding event and to have added the “Weddings Couture” area to The Wedding Fair. 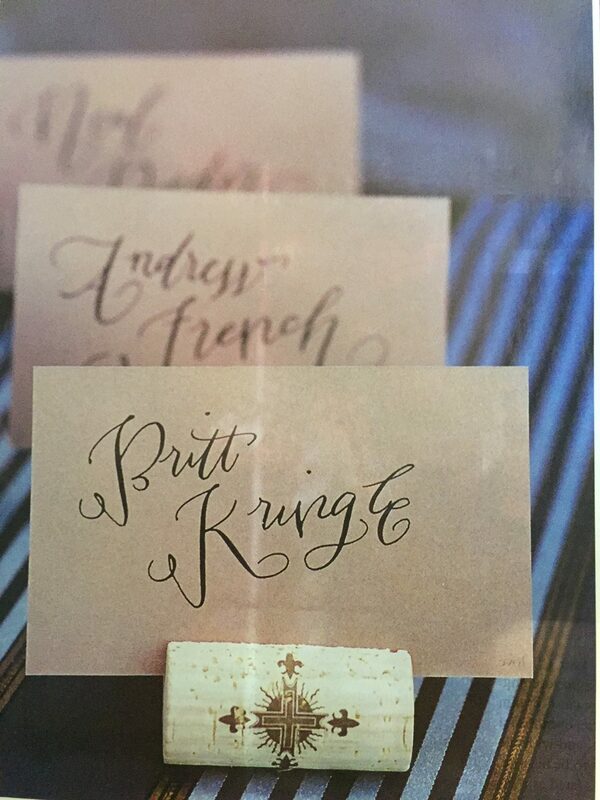 Twin City Bridal Association represents 450 wedding experts with whom Trettel and Vassar work to publish The Wedding Dictionary –a free, 400-page wedding planner. Their knowledge of the wedding industry, according to their clients, has earned them the title “The Wedding Guys”. You’ll find their expertise online where their high-tech website offers an interactive Q&A, answering wedding questions from Minneapolis to Tokyo. Planning Tradeshows is a tricky business. Not only do show directors have to assure that the current event runs smoothly, they must also think ahead. The success of future shows depends not only on the strength of the current event, but also on research efforts between shows. Promoters need A-list exhibitors at their next show to guarantee exceptional attendance. Here, three tradeshow directors weigh in on some significant questions regarding the trials and tribulations of catching and keeping quality exhibitors at their events. 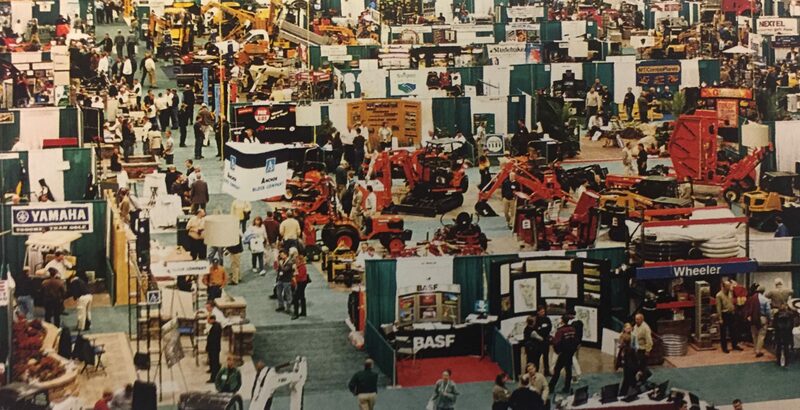 In 2004, the Minnesota Green Expo hosted 800 exhibitors and 7,400 attendees. The Minnesota Green Expo is the product of a merger between two long-time events: the Minnesota Nursery & Landscape Association (MNLA) Convention and Trade Show and the Minnesota Turf and Grounds Foundation Conference. 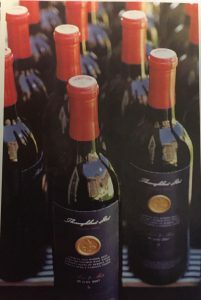 “The two events merged in 2003 and have achieved success in booth sales and attendance beyond our expectations,” said Bob Fitch, executive director of the MNLA. In 2004, the show exceeded 800 booths and 7,400 attendees. 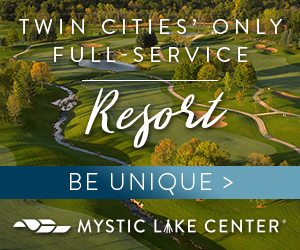 Held each January at the Minneapolis Convention Center, the Minnesota Green Expo is a private trade-show that provides networking, buying and selling opportunities for green industry professionals such as arborists, garden center operators, golf course superintendents, landscape designers and more. Featured booths include full lines of plant materials, machinery, tools and equipment, plus services for industry specialists. Booking exhibitors for the following year’s show begins immediately after the expo, when next year’s contracts are mailed to all current exhibitors. “For those companies wanting to maintain their cur-rent booth location, move or expand, the deadline to return the contract with a deposit is March 15. After March 15, we assign booths, then send a contract again to exhibitors who were in the previous year’s show and also to those on the waiting list,” Fitch said. “Finally, in the summer, we mail information and contracts to companies in our prospective exhibitor database. The Midwest Poultry Federation (MPF) has held an annual convention and tradeshow for the past 33 years. The private event has been held at the River Centre in St. Paul since 1998. Currently held in March, the show emphasizes education and business opportunities for the turkey, broiler and egg industries in the upper Midwest and caters mainly to the production side of the industry. According to Lam Durben, MPF program director, the process for selling booth space involves several mailings to both past and potential exhibitors. They maintain an up-to-date database of companies and include a special section for exhibitors on their Web site. The MPF also sends a representative to the International Poultry Exposition in Atlanta in January. This person visits as many booths as possible and distributes sales packages for the federation’s St. Paul show. “This is often a very successful way to sell our few remaining booths. We can talk to a large variety of companies who we think will be a good fit for our show in March,” Durben said. Three times a year at the Minneapolis Convention Center, the Twin City Bridal Association (TCBA) puts on a large public expo: The Wedding Fair. On average, 5,000 people, including 1,500 brides, attend the three one-day events. About 200 exhibitors present the latest in wedding ideas to the mass of attendees. 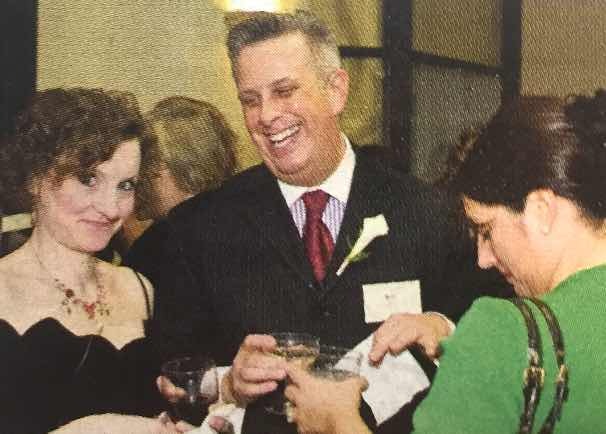 According to Bruce Vassar, a TCBA marketing and sales representative, because the Wedding Fair is so well known and is looked up to by international bridal show producers, filling the space with exhibitors is not a problem. Every tradeshow has several companies considered to be major players because they attract both attendees and other exhibitors. Exhibitors who rent the most booth space, have the bigger budgets, feature the latest industry products or have been with the tradeshow for many years are also considered a show’s anchors. Showcasing the latest products and equipment is key. Vassar calls them “trend forwards.” These exhibitors are usually a little over the top, he said, but they under-stand the industry well. Because these trend-forward exhibitors are usually the best of the best, they may not feel the need to exhibit at the Wedding Fair. But they need to support the industry, said Vassar arid it’s important to offer the brides different choices. At the Minnesota Green Expo, equipment is a huge draw. So much so that the expo has increased the size of’ its equipment displays and the number of equipment exhibitors. But, as with the Wedding Fair, variety at the expo is essential. Plant materials are also important to attendees, though the number of those exhibits have not increased at the same rate as the equipment exhibits, said Fitch. “It’s a priority for us to ensure that we keep a good balance between hard goods and green goods,” he said. Because of company mergers and acquisitions, the number of companies exhibiting at the Midwest Poultry Federation tradeshow has decreased slightly. But those who are important to the industry, whether large or small, are the ones who Durben wants to see at the show, such as equipment manufacturers, feed and feed product vendors and animal health product exhibitors. Tradeshow longevity and consistency is also a factor when it comes to the major players. All three of the event directors have exhibitors who have been with their shows for several years. It’s important to both oblige long-time exhibitors while at the same time continue to look for new exhibitors. Tradeshow directors accommodate their long-time exhibitors, usually with preferential booth placement. At the MIT trade show, companies who have previously exhibited have “first clips” on their spot from last year, Durben said. To keep exhibitors coming back each year or to lure new companies to a tradeshow, directors need to collect attendee information and use specific marketing strategies. Direct mailings, comprehensive Web sites (complete with a list of previous exhibitors) and word-of-mouth are huge influences on current and potential exhibitors. Most tradeshows collect demographic information on attendees through surveys and then compile the information to provide to exhibitors. This data includes total registered attendees, the percentage of attendees from each industry segment, the percentage of registrants who are decision makers (i.e. owners, managers, etc. ), geographic information and more. “Showing potential exhibitors that we have quantifiable numbers of their target audience is critical ill the selling process,” Fitch said. Staying on the cutting edge of the industry is also important when luring exhibitors. The first way to remain ahead of the game in any industry is to study and attend other tradeshows. “There is something to be learned at every tradeshow, large or small,” Fitch said. Tradeshow directors and staff also keep up On trade publications and belong to industry organizations as well as management associations. Vassar, with the Wedding Fair, said his fair must always be “25 steps ahead of the industry” by coming up with new concepts. For example, each show has a theme; past shows included Hollywood weddings and legendary brides. In January 2005 the theme will be Winter Weddings. Because hardly anyone gets married during the Minnesota winter, it’s an extremely hard time for exhibitors, Vassar said. Some could see it as a bit of a gamble, but by focusing an entire show around the winter wedding concept, brides discover new possibilities and exhibitors hopefully receive a boost in business during difficult months. Vassar and the staff at TCBA also keep the Wedding Fair up-to-date by helping their exhibitors stay on the cutting edge. Vassar will work as a marketing consultant and visit companies, holding seminars on how to make the most of the Wedding Fair. “We create an experience for the vendors which helps them create a comfortable atmosphere for the couples,” he said. By luring the major players and staying on the cutting edge of the industry, tradeshow directors can expect success. The numbers can measure success, whether it’s total attendance or target audience. Post-show surveys and exhibitor feedback are also key measurements. And continued growth each year is definite proof that a tradeshow or expo has accomplished its goal. But it’s also important to look at the intangibles, Fitch said. Walk the floor and talk to the exhibitors and ask them if they’re getting good leads. He suggests heading to the worst spot on the floor and checking in with the vendors. Another good sign is if a decent number of attendees are on the floor at closing time on the last day. Giveaways have a major presence at any trade-show. Almost every booth has a trash, trinket or treasure for attendees to slip into their bag. From pens and pencils to key chains and T-shirts, exhibitors use these items to a varying degree of success. According to Debbie Thompson, marketing coordinator for Alpharma Inc., a specialty pharmaceutical company that attends the Midwest Poultry Federation’s tradeshow, the main purpose of her giveaway is to attract attention to her exhibit. “The most important person can be walking around with his family and you would never know the type of business he has or how large his business is,” she said. At Alpharma, giveaways are based on the promotion the company is running at the time. They tend to hand out both high-end and low-end giveaways at the booth. The low-end item is given to all show attendees, while high-end items (i.e., a T-shirt or more expensive item) are reserved for a known customer or an attendee who asks for a company representative to call them, said Thompson. With logos plastered on pens, rulers or Post-It notes, attendees are also reminded of the exhibitor when they bring these items home or to the office. For Alpharma, however, they don’t worry about the impact of the giveaway after the tradeshow is over, said Thompson. Giveaways are used mainly as a tool to draw attendees to a booth during the show. Either way, when it comes to tradeshow exhibiting, giveaways are an important promotional tool. And the attendees with overflowing bags just might be the first callers waiting on your voice mail when you get back from the show.